The Berk Technology exhaust system is perfect for those wanting to release the performance and sound from their high performance machine. Back-to-back championships race wins, and multiple track records are testament to the quality and performance of Berk Technology exhaust products. 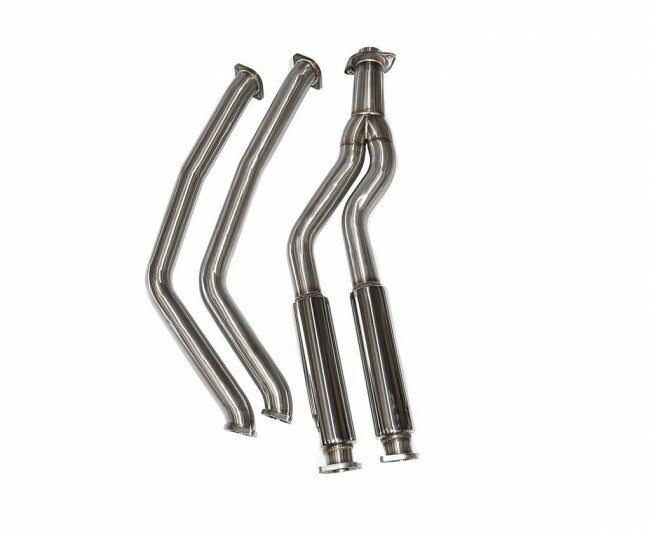 These midpipes feature larger diameter 2.5 inch mandrel bent piping for increased horsepower, torque, and exhaust flow. Engine exhaust gas temperatures (EGT's) are reduced and turbo lag is reduced resulting in greater engine efficiency. Straight through resonators with zero restrictions gives the your BMW 135i a more aggressive exhaust note while still maintaining a smooth tone. Reduced exhaust "drone" at highway speeds while improving performance and reducing weight at the same time. 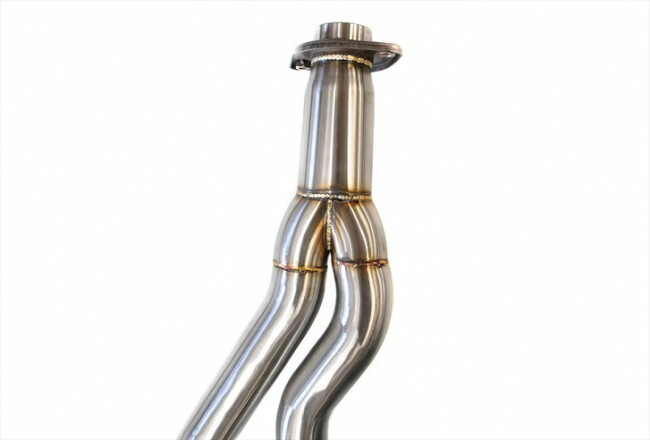 Removes the small restrictive OEM resonator box mounted at the rear of the OEM midpipe for a more free flowing exhaust path. Removes secondary catalytic converters and is for off road use only. Supports both twin turbo N54 and single turbo N55 BMW 135i variants. All Berk Technology exhaust systems are 100% bolt on at the factory mounting points and do not require any special tools or modifications to the vehicle. Includes all necessary hardware for installation.